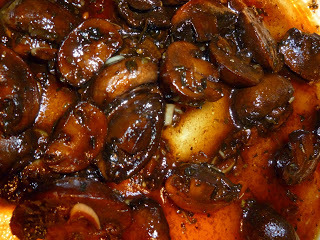 I absolutely love marinated mushrooms, but the are so pricey when bought at a gourmet shop. I think these are retail quality, like little flavor bombs, perfect as an appetizer or side dish. 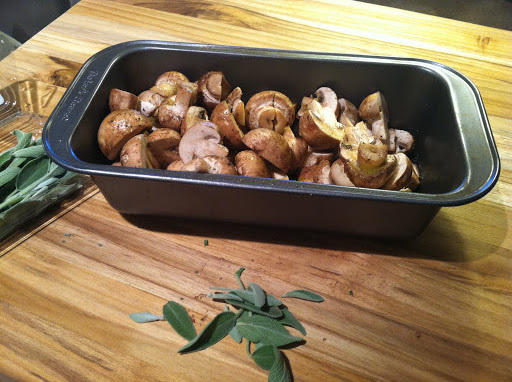 1) Preheat oven to 400*, in an oven proof dish, combine olive oil, vinegar, garlic and basil, pour over mushrooms and toss to coat. 2) Cover with foil and bake for 35 minutes. Remove foil, let cool for 10 minutes, season with salt/pepper to taste. Serve warm or at room temperature.